layouts that I created using the fabulous 2 Crafty products. was taken just before they took to the tracks in Go-Karts. 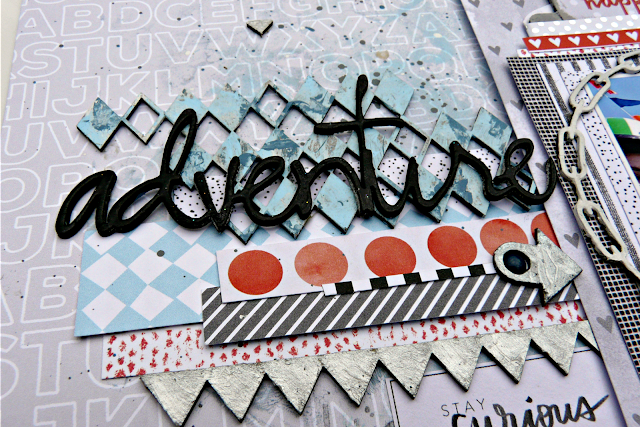 2Crafty always have the perfect chippie for your pages, here I used the "Adventure"
piece along with a mixture of words from the "Mini Travel Word sets 1 & 2". for instance the zig zag border pieces were from the "Harlequin Clumps". (although in the silver colour variation). 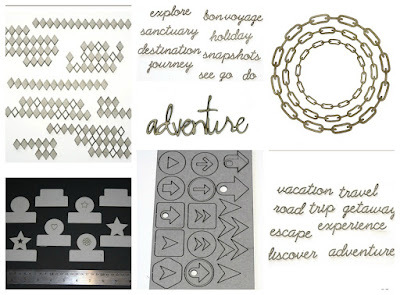 some stamping to my background. of my favourites is the "Chained Circles" that I used to frame my photo. These are the 2Crafty Chipboard pieces used on this page. The advantage of a Selfie taking family is that you get lots of neat photos to scrap. My Daughter and her fiancé had fun taking these on a trip to the seaside earlier this year. for my page. I used twinkling h2o paints to colour my Bamboo. 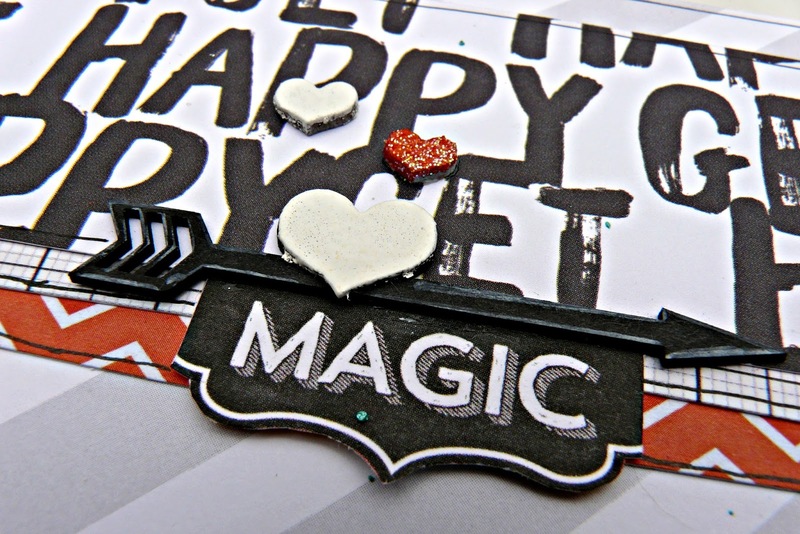 with a post it note and used an orange glitter embossing powder for his body. bumpy texture that this powder creates. I also used an arrow at the top of my page but this one was taken from the "Assorted Arrows"
with some tiny hearts taken from the "ATC Hearts & Stars" set. 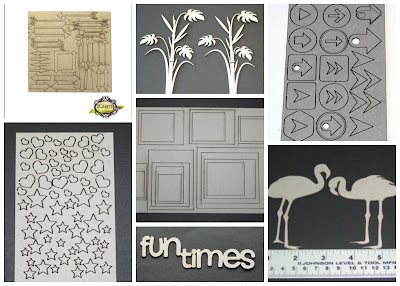 inspired a little to use 2Crafty Chipboard on your projects. 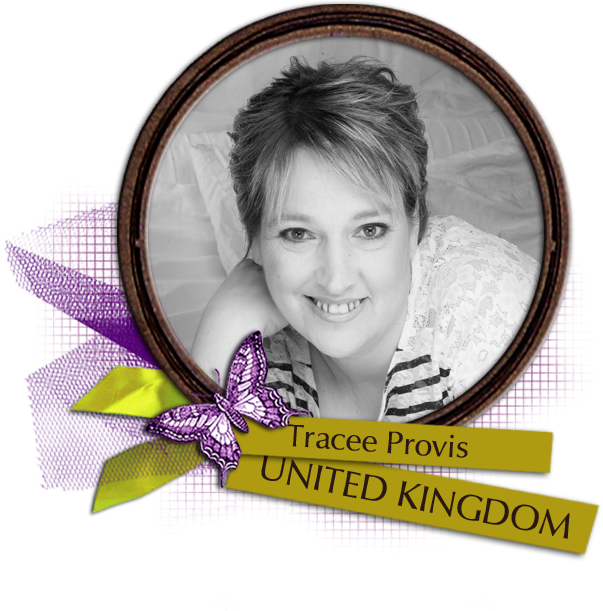 Fabulous pages, Tracee! You are so creative. 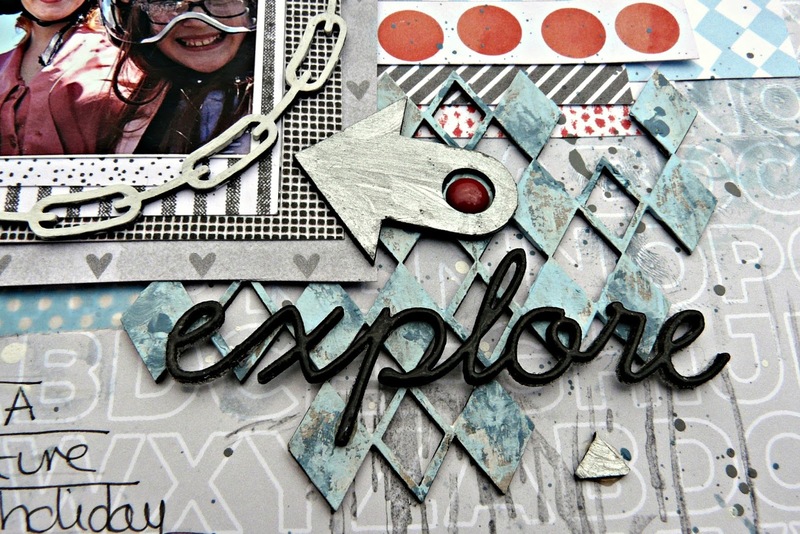 Love your use of the chipboard. How awesome is that sparkly flamingo! Such great creations Tracee and also such awesome and creative use of all the chippie pieces. Both layouts are AWESOME Tracee! 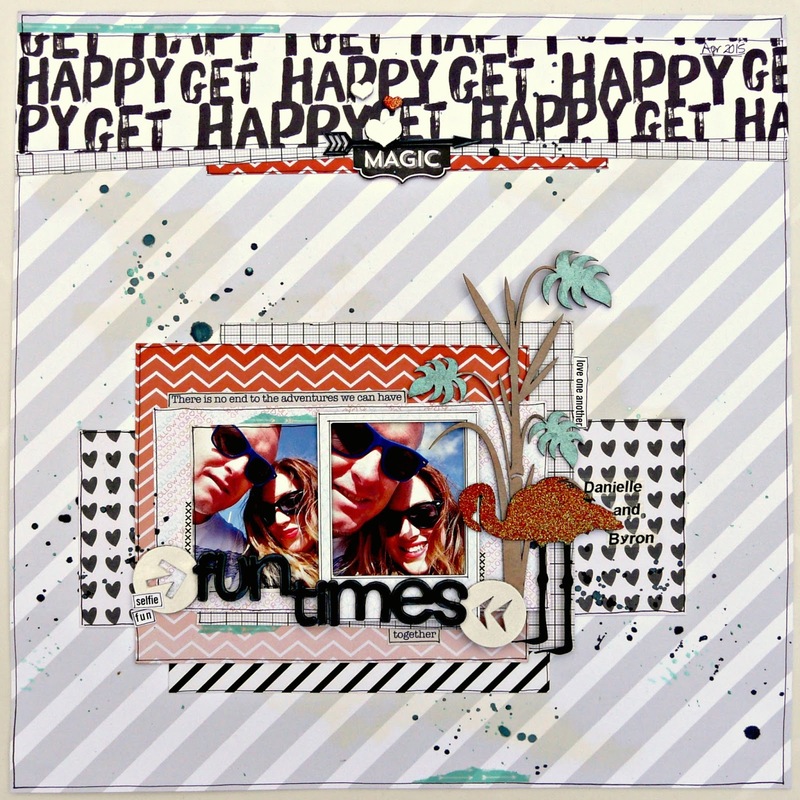 Fun layouts Tracee, I love the chippies you used, they really tell the story! Two beautiful pages! Good job! 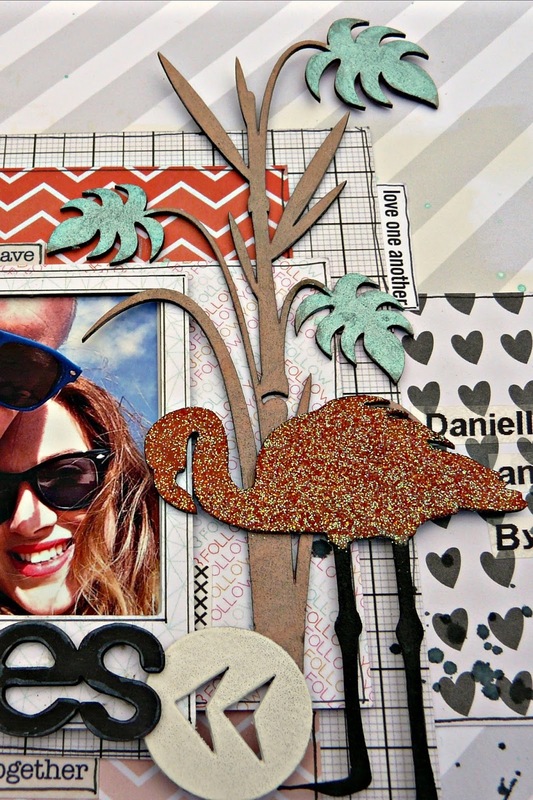 You have such a fun style and really know how to make the chipboard shine! 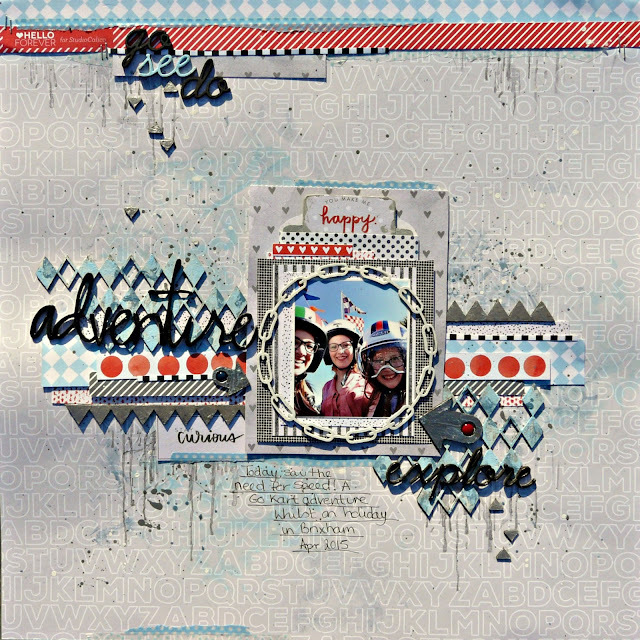 Tracee I just love how you've incorporated so many chippy pieces into your layouts!!! 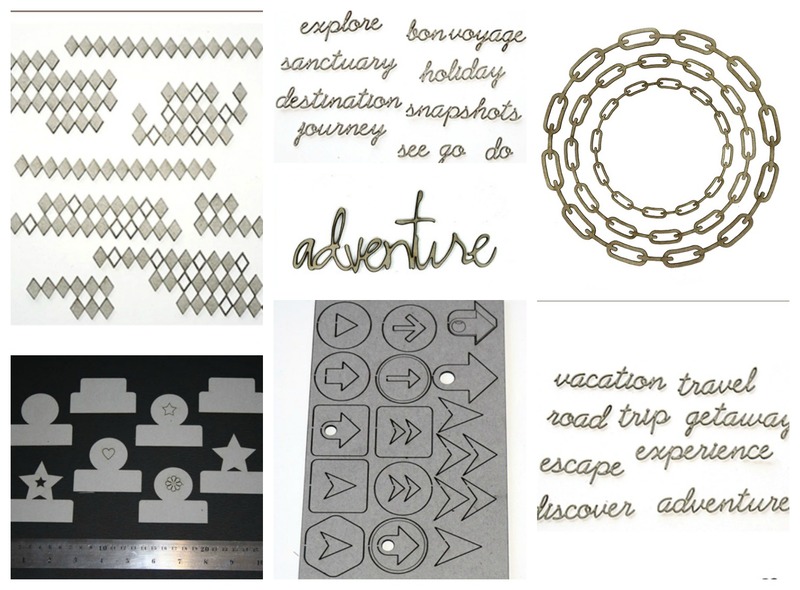 What fun LO's They are great.